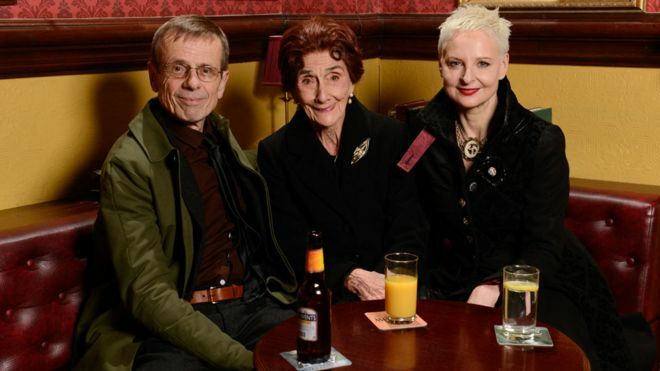 EastEnders favourites 'Lofty' Holloway and Mary 'The Punk' Smith are to return to Albert Square in the New Year. The characters, played by Tom Watt and Linda Davison, will return to Walford to attend a funeral, three decades on from their last appearances in the soap. Davison said she was "so thrilled and very proud" to be back, while Watt said it would be "lovely to set foot back in Albert Square all these years later." Their return follows that of Leonard Fenton, aka Doctor Harold Legg. John Yorke, EastEnders' executive consultant, said Watt and Davison's characters were "iconic" and that he was "thrilled" to have them back.